There are many ways to make lists, and while I know I'm writing this for the benefit of others, in my own way, I'm also making this list for myself! In any case, since it is the "season of giving", here are my top 10 gifts that YOU can give for the fitness buff and/or fanatic in your family! I absolutely LOVE this thing! Doesn't matter if I'm craving noodles or sweet potato curly fries, the veggie spiralizer is my go-to! When you live a health-conscious lifestyle, you are less likely to want to dine out or eat processed food; but that doesn't mean we are always going to deny ourselves our favorite foods. Which mean we do a lot of cooking. 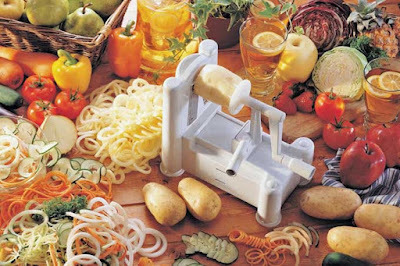 And that's precisely why the spiralizer makes it easy to enjoy an array of amazing cuisines. So for me? Toss up some creative veggie noodle dish, or bake som yam fries tossed in coconut oil, and I'm a happy camper! Know that special someone who just can't seem to hydrate enough during the day? It's a proven fact that you should be drinking at LEAST half of your body weight, in ounces, of water per day. Many, if not most of us struggle with this task. The Ulla water tracker helps you to stay on top of your water intake, and reminds you when it's time to gulp it down. Ok I know what you're thinking...who the hell wants a water filter for a gift, right? Well I know I 100% would!! There are loads of unwanted things in the water that we drink. Who wants unwanted minerals, salts, metals, chemicals, and run-off in their body? Not me! The Zero Water filter removes unwanted things from your water and even lets you test it, just to make sure! I got this filter as a gift from my father, and was very happy to receive it! This has to be, hands down, one of the best inventions I've ever come across. A cutting board with drawers?? 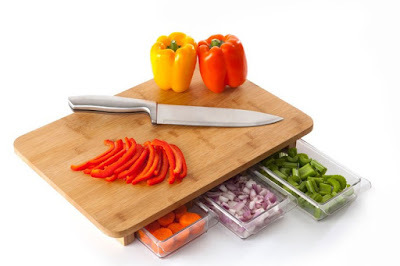 I am not sure why I don't currently have one of these in my life, but I am going to make certain that it makes its way into my kitchen in the near future. I have yet to find one that is in stock and meets my standards, but if any of you happen to come across one, PLEASE post it in the comments!! If you are anything like me, then the winter does a number on your mood! One way to fight that winter depression is with a sunshine supplement light. 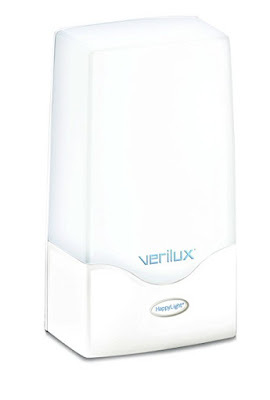 This light claims to improve your mood, energy and concentration by prompting the body's natural energy enhancers to combat the effects of the winter blues, seasonal change, jet lag, and fatigue. I think it's definitely worth a shot! This insulated stainless steel water bottle is not cheap, but it is like no other bottle you have seen. 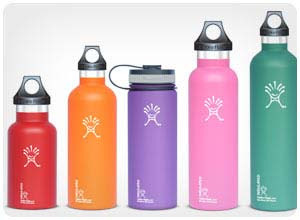 Water bottles tend to sweat or leak, and when you have it in your backpack full of belongings that can be no good. The Hydro Flask's durable insulation and stainless steel design keeps drinks cold for more than 24 hours without sweating. If you have a hot drink? No problem - it keeps that warm! The Hydro Flask fits easily in your gym bag or bike bottle holder and will fit nicely into most car cup holders, as well! I have and LOVE this blender. 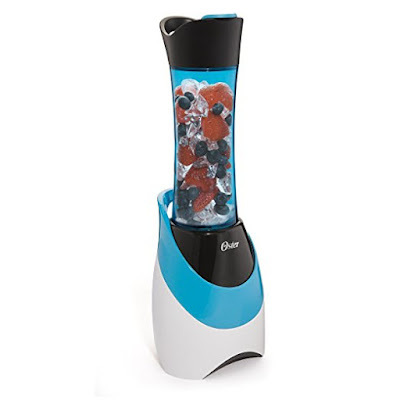 The Oster MyBlend is meant for those of you who live an active lifestyle. You can blend right in the sports bottle and take it with you, leaving no mess and saving time. And less mess equals less stress, and more time to enjoy your day. I also bring this blender with me whenever I travel. Its small design is easy to pack, and helps me to make better food choices when I am on the road, which is often a struggle for most people! Know someone who likes to take workout selfies or pictures of them doing some crazy athletic pose? This is definitely the gift for them! Although the case doesn't feel sticky, you can stick your phone to almost any flat, smooth surface including glass, mirrors, and whiteboards. This makes it easy to get a perfect hands free shot! Want to get your hands on it? *Or off it...you can do so here! I recently purchased two of these for my home, and all I can say is I wish I'd gotten them sooner! 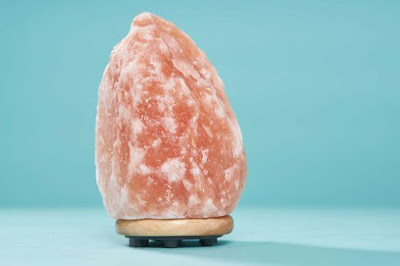 These unique salt lamps are made from natural salt crystals mined from the Himalayan mountains, and are amazing. The salt crystals emit negative ions that combat air pollution, smoke, dander, and pollen. The crystals are also said to counteract the frequencies of electronics in the home. Personally, my favorite part is the light provided that instantly warms up a room. You can find these lamps easily on Amazon or at Bed Bath and Beyond. #1 The Apple Wahoo TICKR X Bundle Package with Beachbody on Demand! This is a pretty great deal, if you ask me. Apple and Beachbody teamed up to transform your workout experience with your iPhone, iPad or Apple TV. The TICKR X heart rate monitor is integrated into Beachbody on Demand, providing real-time feedback during each workout. This bundle from Apple also includes a one-year membership to Beachbody On Demand gives you access to over $3000 worth of workouts! Furthermore, if you want some personal support through your workouts from a coach, you can contact me! I hold monthly challenge groups with a group of peers who are all there to support one another through the journey. You can pick up the Wahoo TICKR X at any Apple store near you! For one-on-one fitness advice and guidance, or to join one of my upcoming health and fitness challenge groups, fill out the application below!